St Stephen’s is an active part of the community of South Tonbridge. We run and host a number of community projects for all ages (see our Community Life page for more information). In addition, we also have strong links with Tonbridge Area Churches Together and also actively support the Children’s Workshop. St Stephen’s Church is delighted to be in partnership with the villages of Matongoro, Nolini, Mlange, Mkoka and Songambele ‘B’ in the central highlands of Tanzania where we are funding a Church and Community Mobilisation Programme (CCMP) through Tearfund. These villages are in the northern part of Mpwapwa Diocese, with whom Rochester Diocese have had a formal partnership for over 10 years, and where a growing numbers of parishes are establishing partnerships. CCMP is a programme that helps local churches to work together with their community in addressing needs, using their own resources. Recent progress reports are available on the website. Many small groups have been started in each of the villages, and more are forming; the members meet weekly for Bible study and fellowship and they are envisioned and equipped to undertake income-generating projects as individuals and/or a group. These projects range from agriculture, animal husbandry, bee-keeping, pot making, tailoring, micro-banking – all using local God-given resources, which with expert guidance, are transforming their futures. Teams from St Stephen’s regularly travel to Matongoro. Our congregation also sponsor 23 children at the two Compassion projects in these villages, where the poorest are given access to education and training, health and social care, and a nutritious meals. Here is the Spring 2019 update on what has been happening in Matongoro and the surrounding villages. Please contact Stephen and Sylvie Barbor through St Stephen’s Church Office for more information. St Stephen’s Church is so pleased to support the Charis Foundation in Romania. 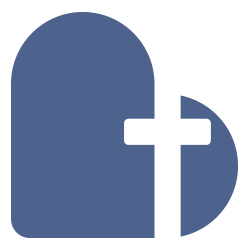 The Charis Foundation is at Christian mission that aims to change the community by showing God’s love in practical ways. Charis encourages the Romanian society to get involved in charitable activities and meet the social, educational and cultural needs of the community. Groups from St Stephen’s Church have visited Charis in 2002, 2003, 2013 and 2014, and we are hoping to send a team out again in autumn 2016. For more information please visit the Charis Foundation website. Through our disaster and emergency support fund, we send money to disaster relief appeals. We also use this fund to support members of the church who go on short-term mission projects – students in their gap years, for example.